What makes up a Home school Science Curriculum? Home School Science! Science is such a broad subject area that at first thought, it might be daunting and you may wonder - How will we teach this and what home school science curriculum might we use? Or could we take ideas from here and there and create our own course of study? This is my home school science overview page - to give the broad picture of what teaching science might be like in your home. Ways to Teach Science - this page has more details of teaching science by observing, experiments, reading and notebooking. Fun Science in your home! 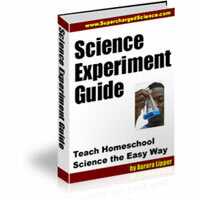 How do I teach Science and design a Homeschool Science Curriculum? 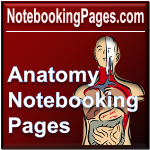 Observation - through nature walks, journaling and adding to an online journal. 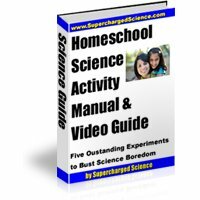 Homeschool Science Reading - through nature resources, field guides, living books, textbooks, curriculum, biographies and experiment sourcebooks. What Science skills are we trying to teach? Reading across the divisions of Science including Science discoveries, people, nature. 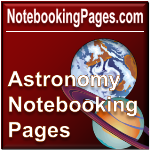 Observation - including outdoor observation as well as conducting experiments and taking careful observation of results. Writing - being able to record what you have learned and observed. Creating and investigating - and working through the scientific process. Communicating - solving problems, defining and describing. 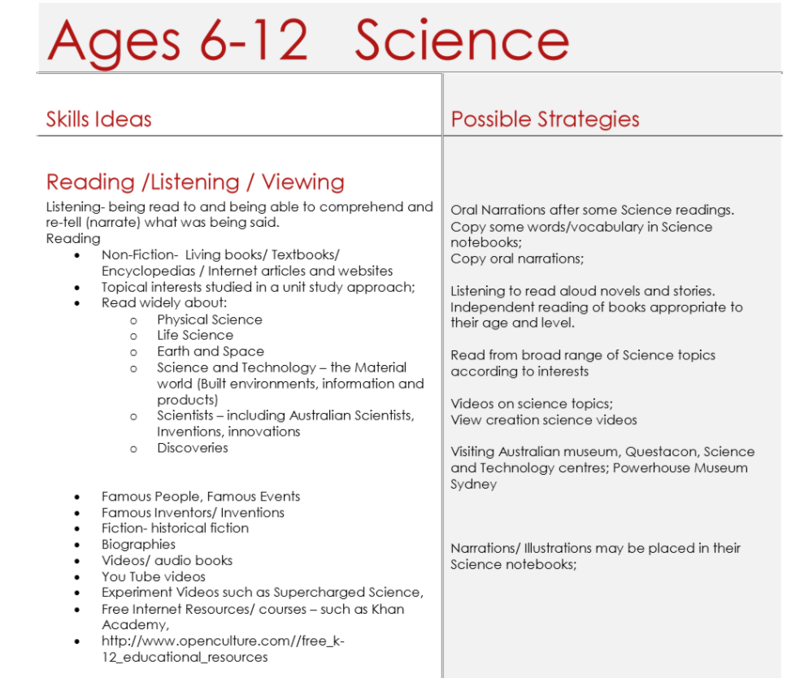 There are strategies which you can use to cover the types of skills which you would like to be focussing on as you teach home school science. Strategies are the things you would be doing already - like going on a nature walk, reading great information books and biographies, watching videos, conducting experiments, visiting the zoo and a ton more ideas that I'm sure you're doing already!